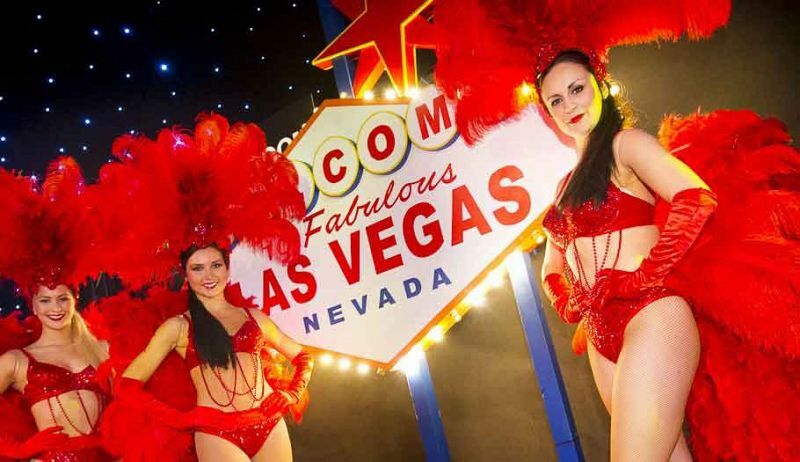 Ensure that your exclusive Christmas celebration is one that sparkles this year, with a spectacular evening at this stunning 'Viva Vegas' themed party. 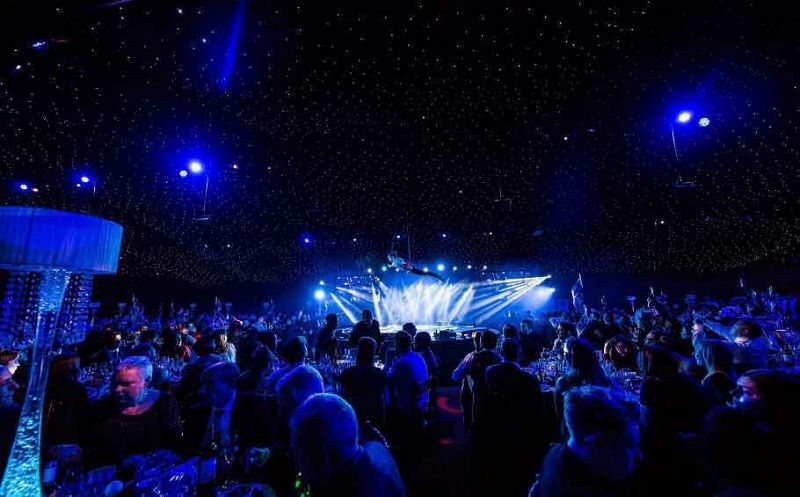 Experience a night of extravagance in Canada Water at this star-lit venue as you witness dazzling entertainment, indulge in mouth-watering food and enjoy plenty of glamour! Come dressed to impress for this grand occasion, where on arrival you’ll be greeted by the stunning Vegas show girls for a meet and greet, before making your way to the Vegas Palace Lounge for a sophisticated drinks reception. 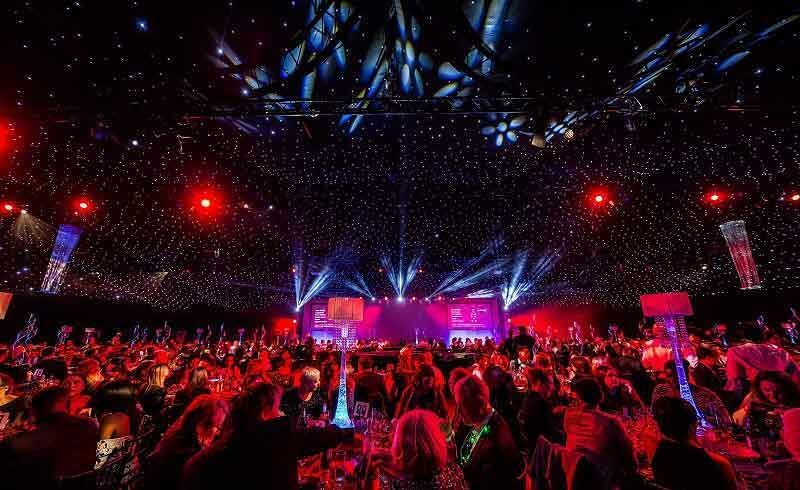 It won’t be long until you’re called for dinner, where you’ll be seated in the magnificent Starlight ballroom, where everyone will enjoy a fantastic three-course feast that’s been freshly prepared in-house by the exceptional catering team. Alternatively, you could go for the delectable bowl food option if preferred, which up to 2000 guests will be able to enjoy – perfect if you’ve got a larger group! 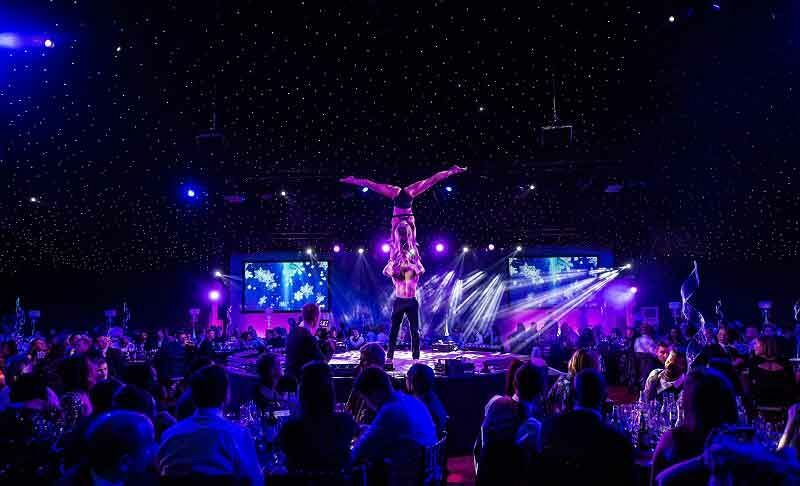 As you dine, take in the astounding sights of world class performances from the jaw-dropping aerial acts, the fabulous Vegas dance show and the sizzling hot fire act, which will be sure to get the temperature soaring! The fun continues after the entertainment comes to a close, with a trip to Downtown Vegas, where you’ll be able to try your luck on the Roulette and Blackjack tables, before jumping into the photobooth with friends and capturing a memory of the evening. Finally, get ready to throw some serious shapes on the dancefloor as the DJ provides the ultimate soundtrack to your evening which will take you through to the early hours. Ensure you book your exclusive 'Viva Vegas' Christmas celebration today and experience an evening that’s filled to the brim with glitz and glamour!